When you are planning to go for a Singapore event tent rental company, you need to consider the style of tents they have. Firstly, take note of issues like how they are going to set the tent up and what type of tent can they offer. Be it a sports, corporate or wedding event, a clear-span tent can offer an unobstructured interior view. Also, the type of frame used can greatly affect the overall aesthetics of the setup – while some companies offer tents that are made up of high quality canvas that are supported by aluminium frames, some are still using the steel frames. So do weigh the options and see if it suits your cause and serve your purpose. Prior to entering a contract with an event tent rental company, you’ve got to consider the amount of experience the company has under its belt. Regardless of the purpose of tentage rental, conducting an event is a complex affair and it asks for a coordinated approach of the parties concerned and that starts from setting up the right tent in the right way. Hence, you must consider whether the company is question has the relevant experience in setting tents. You will come across many Singapore event tent rental companies that provides a wide range of value added service in the form of catering services, chair and table rental services, interior décor and the even organizing events like game shows and music events and the likes. The last two events are very common in case of birthday parties for kids. Therefore, when you avail the service of a company that also lends all these value added services you get virtually everything from under one roof and you do not have to run from pillar to post for them separately. Also, this helps in reducing the cost manifold. 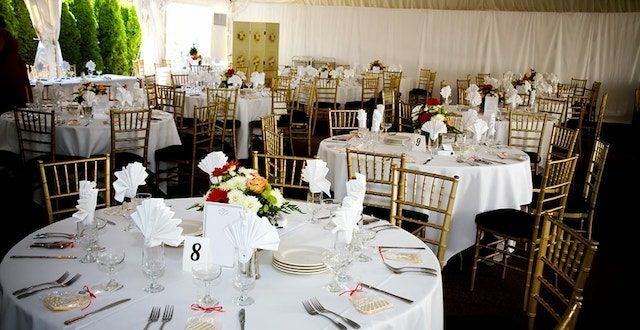 From that point of view you are able to save a substantial amount by hiring these Singapore event tent rental companies. This is one of the most crucial factors that a event tent rental company needs to have, before you can even consider its name. With strict safety regulations from the Workplace Safety and Health Council, the tentage rental company has to fulfil work safety measures set by the authorities. Despite being called the Sunny Island, heavy rains and thunderstorms can be commonly seen in Singapore; and ponding of tent roof can be hazardous and fatal to the people under it. If your luck is that hard, the wrath of nature might coincide with your D-day. Hence, the company you hire must be able to address safety issues and advise contingency plans to protect the people and the logistics under it, making sure that the party rolls along irrespective of the weather that prevails outdoors. So, before you select the Singapore event tent rental company of your choice, you need to make sure that you have taken into consideration these factors so ensure that the investment you are about to make is worth of it and the end of the day. Share the post "4 Things to Consider while Finalizing Tent Rental in Singapore"